Here are fifteen of the most high-quality and reputable sources available today on the subjects of peripheral neuropathy and nerve pain management. Find out everything you need to know about neuropathy: what it is, how it is contracted, how it is treated, and what you can do to better manage your chronic nerve pain. WebMD is a highly reputable source for basic information on thousands of common medical concerns and practices in today’s society. It is not meant to replace the diagnostic expertise of an actual doctor, but rather to help inform patients about how to help manage known conditions and symptoms. It is packed with useful tips and information, including articles written by experts—and links to additional resources. The Mayo Clinic is world-renowned for its existing resources and ongoing research. Their online database provides information about peripheral neuropathy, the most common type of neuropathy in America today, and how your doctor might go about diagnosing the condition. The website offers a built-in feature to request an appointment at any one of its many clinic locations nationwide. The National Institute of Neurological Disorders and Stroke maintains one of the most straightforward and thorough compilations of information about diabetic peripheral neuropathy in existence. It covers the many different forms that this disease might take, its causes, how it is treated, and how sufferers work to manage their symptoms. Its links to additional resources include information on a wide variety of NINDS-administered clinical trials. The American Chronic Pain Association helps thousands of Americans who suffer from a variety of conditions that involve chronic pain, including neuropathic pain (more commonly referred to as “nerve pain”). The pain resulting from peripheral neuropathy, as well as other forms of the neuropathic condition, is one of the most common and debilitating symptoms associated with the disease. It is particularly prevalent in those variations of neuropathy which are incurable, necessitating ongoing management strategies. Learn what causes nerve pain—and how to fight it! Wikipedia is sadly underrated as a resource. Its entry on peripheral neuropathy helps people who are suffering from nerve pain to gain a deep and well-founded understanding of their condition, which can help lead to additional management strategies based upon such factors as nutritional deficiencies. A well-informed and educated patient is more readily able to communicate with their doctor, and to understand what they’re being told about how to manage their condition effectively. The Foundation for Peripheral Neuropathy offers this thorough guide about what foods to eat to help manage nerve pain. It includes foods that make good choices for a healthy nervous system, foods to manage blood glucose levels, anti-inflammatory eating, and foods to help manage the side effects of common medications. Notably, it also includes foods to avoid, on account of their potentially worsening the common symptoms of neuropathy and its underlying conditions. This journalist and nutritionist’s blog is one of the most highly ranked sources online for information about how to cope with the dietary requirements imposed by certain specific conditions. The article in question includes information about a condition involving chronic nerve pain, CRPS—complex regional pain syndrome—as well as advice on what foods to eat to help manage nerve pain, how to prepare them effectively so as to retain their optimum nutritional levels, and so on. Health Xchange’s Special Focus article on the difficulties of walking with peripheral neuropathy addresses some of the issues, such as loss of balance and coordination, that many other neuropathy resources lack. 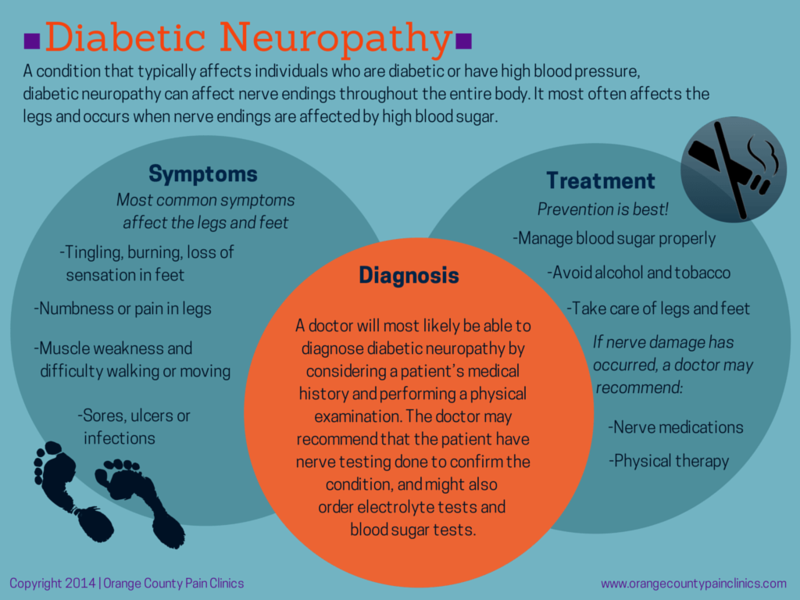 These are some of the key aspects of diabetic peripheral neuropathy which turn it from a mildly debilitating condition into something that creates lingering, day-to-day mobility struggles for its sufferers. Sit and Be Fit discusses resources relating to one of the most common long-term effects of peripheral neuropathy: the loss of muscle mass and range of motion in the feet and ankles. “Drop foot” is a particularly common symptom which greatly interferes with personal mobility. These exercises are designed to safely help maintain muscle mass where you need it most! The Neuropathy Treatment Group manufactures and markets Nerve Renew, a revolutionary product for the treatment of peripheral neuropathy and the management of nerve pain. Nerve Renew incorporates forms of the various B-Complex vitamins and other nutrients which are readily assimilated by the body through the digestive process. 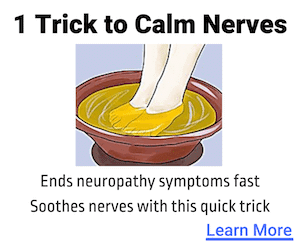 The website is a treasure trove of information about neuropathy, the ingredients in Nerve Renew, and how the supplement works. A free trial and a money-back guarantee are available! Healthline serves up this page on sciatica, a condition related to the sciatic nerve which often involves excruciating long-term nerve pain. This page lists six stretches which can be performed to help relieve the symptoms associated with sciatica. These exercises also happen to be effective on relieving nerve pain due to other causes, which occurs in the same parts of the body. Examine maintains this database on the nature and use of benfotiamine, a fat-soluble variation of the B1 vitamin (thiamine) which is known to be an efficient assistant for neurological health. Benfotiamine is readily absorbed by the body, and—like the other B-Vitamins—it is vital for your nervous system. The article lists dozens of references to scientific papers on benfotiamine. Ancient Minerals offers this page on magnesium, a common metallic element. It’s a vital nutrient for maintaining good nervous system health. This article includes information on the function of magnesium, how it has been applied medically over the years, and how to spot whether or not you might have a magnesium deficiency. The American Diabetes Association offers this hub of resources on how to eat properly for the management of diabetes—the most common underlying condition behind neuropathy. The ADA offers multiple diet plans, information to help understand what needs to be controlled—and why—and, perhaps most importantly, a profound understanding of the simple truth that eating is one of life’s greatest pleasures. The National Institute of Diabetes and Digestive and Kidney Diseases offers an expansive page on the subject of living with diabetes, a devastating and debilitating condition that affects a growing number of Americans today. Diabetes impacts every aspect of day-to-day life and a wide variety of long-term personal decisions. NIDDK offers straightforward and easy-to-follow tips on diabetes care, how to manage symptoms, and how to reduce the likelihood and severity of complications (with diabetic peripheral neuropathy being one of the most common).